What has become one of my annual blog topics is writing about the best books I read during the calendar year. This year, my book list totaled 27—13 fiction and 14 non-fiction—a number I surmised last year would need not exceed my total of 30 read in 2013. 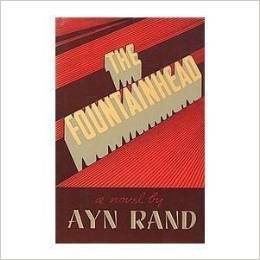 One of the best fiction books was a classic, The Fountainhead by Ayn Rand, a book I some how managed to get out of high school without having to read, but one that I thoroughly enjoyed this year. Since I probably missed a lot of classics in high school and college, I’ve decided to include at least one classic in my list of books read each year. But it was the non-fiction books that I enjoyed reading the most this year. My book reading year started out about beer (what better way to start the new year?). But this story, Beer Books, I have already chronicled so I won’t repeat myself. I can probably describe in one word, the best book I read all year—incredible. And if you’ve seen the movie of the same name as I have, I can say you only got a small snippet of the full story. We’ve all read books about World War II but this is the first I have read about this little known effort of the war. 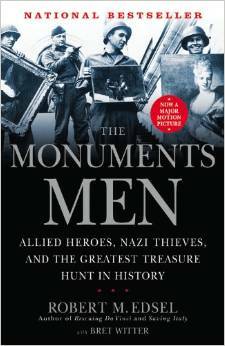 The Monuments Men, a true story by Robert M. Edsel is a tale I probably never would have heard about were it not for a Rick Steves podcast. Sometime last year, I heard the author talking about his book and it piqued my interest since it was a new story to me. A lot has been written about Adolf Hitler and the atrocities he carried out but this is the first I had read of his mad lust for art. Concurrent with the pillaging of towns and villages was the looting of works of art—many of them incredibly famous. Driven by the desire to build the world’s best art museum in his hometown of Linz, Austria, Hitler had numerous soldiers collecting and shipping artwork to the Fatherland. As the tide of the war began to turn and occupied cities were liberated, it was the job of the Monuments Men to recover and return the stolen works of art. Aided by Rose Valland, an unpaid volunteer at the Jeu de Paume museum, adjacent to the Louvre in Paris, she was witness to Hitler’s selection of art for his collection and secretly kept records that proved key to the uncovering of this art in the world’s greatest treasure hunt. Having been to the Orsay museum in Paris this past year, I often had to pause in front of a painting to appreciate that the work of art I was viewing was there for me to see only through the efforts of these brave men and women who risked their lives to save these treasures for future generations to enjoy. Another of the best non-fiction books I read this year is one that were it not for an Amazon error, I might not have ever purchased and read. 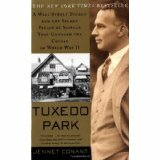 Tuxedo Park: A Wall Street Tycoon and the Secret Palace of Science That Changed the Course of World War II written by Jennet Conant was incorrectly subtitled Tuxedo Park: Robert Oppenheimer and the Secret City of Los Alamos, which was actually the subtitle for another book also authored by Jennet Conant, 109 East Palace: Robert Oppenheimer and the Secret City of Los Alamos. Having read in 2013 a book entitled The First War of Physics: The Secret History of the Atom Bomb by Jim Baggott, I was intrigued to read more about the development of the atomic bomb that changed the world. Even the photograph of the gentleman on the cover looked like “Oppie” as I learned he had been referred to. But the more I read, the more I realized this book had very little to do with the development of the atomic bomb. The story it told was most fascinating covering an individual I have never heard of, Alfred Lee Loomis, who was actually the individual portrayed on the book cover. Loomis was indeed a talented financier who made a fortune on Wall Street even through the crash of 1929. But his real interest was science and in 1940 with the aid of his personal wealth, converted a personal residence in Tuxedo Park, New York into a secret laboratory that attracted the world’s most gifted physicists to focus on scientific research for the war effort. What made the story even more intriguing was the intertwining of a fictionalized portrayal of this true story written by one of the scientists at Tuxedo Park, William Richards but written under the pseudo name, Willard Rich entitled Brain Waves and Death, which was published just days after the author (William Richards) committed suicide under suspicious circumstances. At the time, it was feared that the thinly veiled story written by Richards of the Loomis marital scandal that occurred would jeopardize the war effort. But fortunately it didn’t and the secret laboratories went on to invent what we know today as ultrasound and radar, the latter weighing heavily in the defeat of the Germans U-boats and V-1 bombs. It was stated that through Loomis’ invention of radar, their efforts won the war in Europe but it was the scientists at Los Alamos that ended the war with their atomic bomb. And it was precisely the publicity the inventors of the atomic bomb received afterwards that overshadowed the important inventions coming out of Tuxedo Park, which forever obscured their remembrance for most people. The story was so interesting to me, I tried to purchase a copy of the fictional story only to find it was out of print and used copies were going for $450. 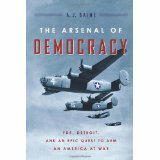 Another great non-fiction book I read about the war effort was The Arsenal of Democracy by A. J. Baime. Being very interested in cars and the automobile industry in general, this a very interesting story of how the plants that cranked out automobiles were retooled to churn out war machines. Of prominent feature in the book are the story of Henry and Edsel Ford and the building of the Willow Run plant that ultimately cranked out a B-24 bomber every hour, a goal no one thought could be accomplished but one in fact that was realized. 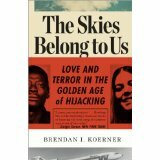 Another book I heard about through a podcast interview with the author, Brendan I. Koerner, was The Skies Belong to Us: Love and Terror in the Golden Age of Hijacking. This book covered the period from 1968 to 1973 when air piracy was in its heyday. Having been a teenager during this time, I recalled many of the stories. What were so amazing to me in this post-9/11 era were the lengths to which the airlines went to cooperate with the hijackers. When the government proposed possible solutions that all passengers should be required to pass through a metal detector or to restrict gate traffic to just those travelers flying, the airlines objected that the lines that would be formed would lead to the demise of air travel. The airlines seemed fine with hijacking as long as no one was injured and they got their plane back. Although airlines would sometimes even intentionally foil the plans of FBI rescue operations, it was two hijackings that brought the airlines to their senses. One was prominently featured in the book and described the story of Roger Holder and Catherine Kerkow and their multi-destination hijack that began with their demands to free Angela Davis, on trial at the time in San Francisco. But the nail in the coffin so to speak to the airline industries resistance to taking steps to prevent air piracy was when a plane was hijacked and the hijackers intent was to crash the plane into the Oak Ridge nuclear energy plant—in 1972. Could this event nearly thirty years before 9/11 have been part of Bin Laden’s inspiration for his attacks on the US? 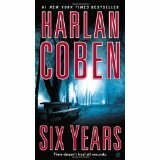 Probably the best fiction book I read, Six Years by Harlan Coben was one of his classic novels with plenty of twists and turns, uncertainty and reminded me why he had become one of my favorite authors. Not just for his Myron Bolitar books, I have enjoyed Coben’s books for the page turning, intrigue and unexpected outcomes. This book did not disappoint. The title comes from the period of time, during which the protagonist keeps his promise not to seek out the love of his life, who he witnesses marrying another man. The unusual turn of events and the unraveling of the mystery will keep you up late turning page after page. So what’s waiting in the wings for 2015? Well my Amazon Wish list includes 16 non-fiction and 11 fiction books, one of which is another classic I never read in high school. Sounds like another similar year of fun reading. Stay tuned and I’ll let you know how it turns out. Previous Previous post: How Do You Celebrate New Year’s Eve? What a great year of books! I am hoping to get my list up sometime this week! Great! I look forward to reading your list as well. You really read some good books last year. It was fun to read your reviews! Thanks, maybe you’ll want to read a few of them too.